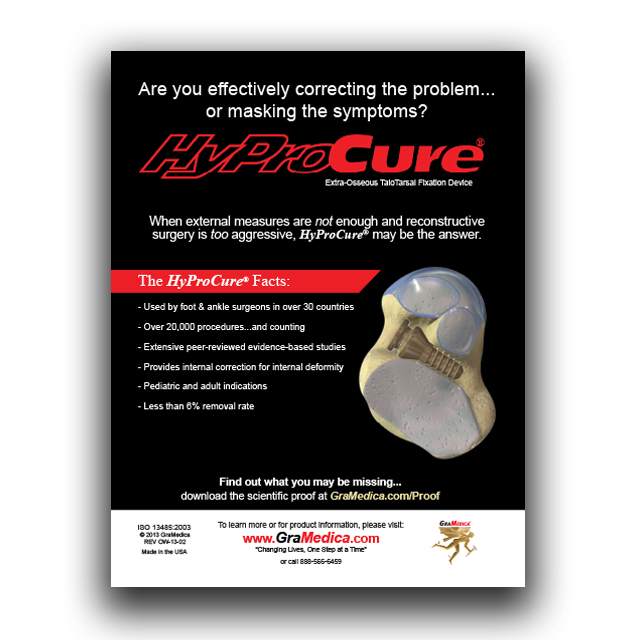 Hyper-pronation (or over-pronation) occurs when the arch of the foot collapses or “rolls in” under the body’s own weight. 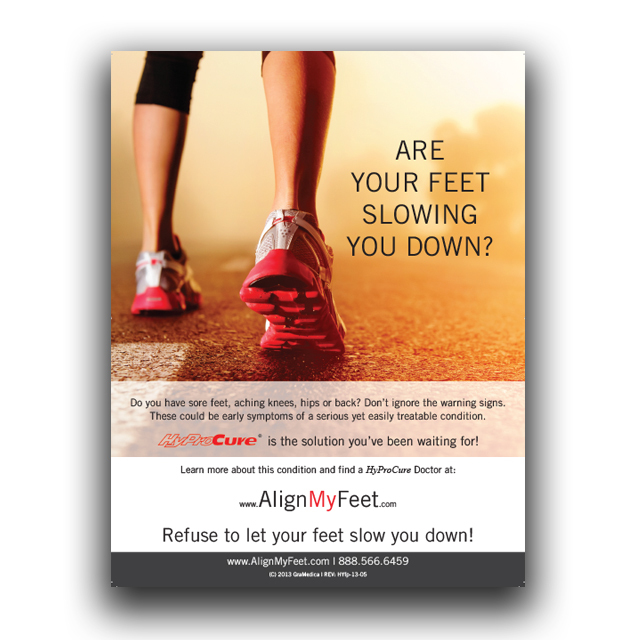 This causes stress, inflammation and can lead to long-term damage to the feet: Plantar Fasciitis, Heel Spurs, Metatarsalgia, Tendonitis and even the formation of Bunions. This condition is commonly characterized by medical professionals as “a common biomechanical problem,” and is a condition that is estimated to plague nearly half of the world’s population. 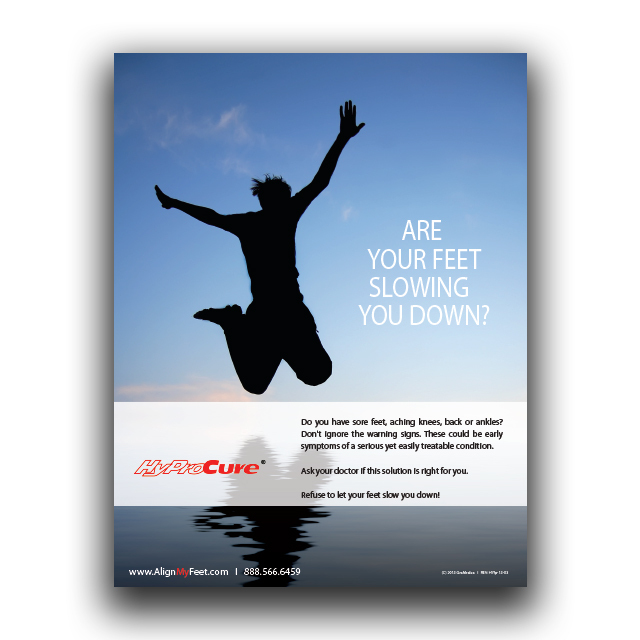 With our advertising strategy, we assisted the team with compelling advertising based on the idea of ones “Feet slowing them down…” We specifically addressed the problems associated with a growing and altogether too common problem plaguing our youth – untreated foot pain that leads to other ailments. In addition, we made a strong case for youth inactivity and obesity as we explored nationally syndicated publications to share their brand messages and get the word out. On the back end, we supported those ads with an aggressive PR campaign targeting athletes of all ages as well as parenting magazines. Rethink the approach and refine the messages to reach consumers…appeal to them with clear, distilled messages about foot health – “The Feet are the Foundation.” Thru a series of key, relevant media pitches, we approached this as a national epidemic – plaguing both adults and kids, and leading to a lifetime of sedentary inactivity – if you allow your feet to slow you down.